For other uses, see South Kensington (disambiguation). South Kensington is a district of West London in the Royal Borough of Kensington and Chelsea and the City of Westminster. It is a built-up area 2.4 miles (3.9 km) west- south-west of Charing Cross. It has become the epicentre of the rapidly growing French community in London and is even sometimes referred to as as Paris’s 21st arrondissement. It is hard to define boundaries for South Kensington, but a common definition is the commercial area around the South Kensington tube station and the adjacent garden squares and streets (such as Thurloe Square, opposite the Victoria and Albert Museum). 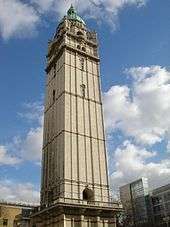 The smaller neighbourhood around Gloucester Road tube station can also be considered a part, and Albertopolis around Exhibition Road, which includes the Natural History Museum, the Science Museum, the Victoria and Albert Museum and Baden-Powell House. 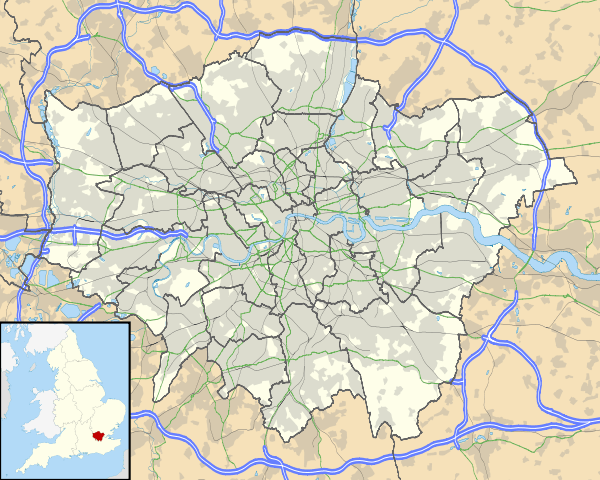 Other institutions such as the Royal Albert Hall, Imperial College London, the Royal Geographical Society, the Royal College of Art, the Royal College of Music are within the City of Westminster, but considered to be in South Kensington. Although the postcode SW7 mainly covers South Kensington, some parts of Knightsbridge are also covered. Neighbouring the equally affluent centres of Knightsbridge, Chelsea and Kensington, South Kensington covers some of the most exclusive real estate in the world. It is home to large numbers of French expatriates (mainly employed in the City, the financial centre), but also Spanish, Italian, American, and Middle-Eastern citizens, as well as a significant number of celebrities. A significant French presence is evidenced by the location of the consulate, the Lycée Français Charles de Gaulle - a large French secondary school opposite the Natural History Museum - and the Institut Français, home to a French cinema. There are several French bookshops and cafes in the area. The area was largely undeveloped until the mid-19th century, being an agricultural area supplying London with fruit and vegetables. Following the 1851 Great Exhibition in Hyde Park, an 87-acre (352,000 m²) area around what is now Exhibition Road was purchased by the commissioners of the exhibition, in order to create a home for institutions dedicated to the arts and sciences, resulting in the foundation of the museums and university here. Adjacent landowners began to develop their land in the 1860s as a result of the creation of new roads and a boom in the development of areas around London, and the absorption of South Kensington into London was sealed by the arrival of the Underground at Gloucester Road and South Kensington in 1868, linking the area directly to the main railway termini and to the political, commercial and financial hearts of the city in Westminster, the West End and the City of London. The area is the subject of Donovan's song "Sunny South Kensington", about the area's reputation as the hip part of London in the 1960s. Sir Henry Cole (1808–1882), campaigner, educator and first director of the South Kensington Museum (later the Victoria and Albert Museum), lived at 33 Thurloe Square. Charles Booth (1840–1916), pioneer of social research, lived at 6 Grenville Place. George Wallis, FSA, (1811–1891), artist, museum curator and art educator, first Keeper of Fine Art Collection at South Kensington Museum. His children, including Whitworth Wallis and Rosa Wallis. Sir Herbert Beerbohm Tree (1853–1917), actor-manager, lived at 31 Rosary Gardens. Beatrix Potter (1866-1943), author and artist, spent her early life in Bolton Gardens. Virginia Woolf (1882–1941), writer, and her sister Vanessa Bell (1879–1961), painter and interior designer, lived at 22 Hyde Park Gate until 1904. Francis Bacon (1909–1992), Irish-born British artist, lived at 17 Queensberry Mews and 7 Reese Mews. Benny Hill (1924–1992), comedian, lived at 1 & 2 Queen's Gate. Nicholas Freeman, OBE, (1939–1989) controversial Leader of the Royal Borough of Kensington and Chelsea, lived in Harrington Gardens, near Gloucester Road. Sir Francis Galton (1822–1911), Victorian polymath, anthropologist, eugenicist, tropical explorer, geographer, inventor, meteorologist, proto-geneticist, psychometrician, and statistician.